Mr. Hochhauser practices primarily in the firm’s healthcare and employment groups, while handling sophisticated corporate and litigation matters as well. Mr. Hochhauser represents a wide range of healthcare and corporate clients, including individual physicians and employees, as well as larger practices and corporate entities. 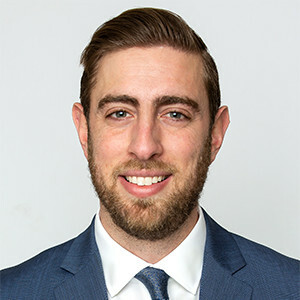 Mr. Hochhauser prides himself on using his litigation background to effectively negotiate on behalf of his corporate clients by strategically identifying the core issues in a dispute, and creatively thinking of viable solutions. Prior to joining the firm, Mr. Hochhauser served as an Assistant District Attorney at the Nassau County District Attorney’s Office, where he prosecuted thousands of criminal cases, and was lead litigation counsel on several jury trials. Mr. Hochhauser is admitted to the New York Bar and the United States District Court for the Eastern and Southern Districts of New York. He is a member of the Nassau County Bar Association. Mr. Hochhauser has also been named as a New York Rising Star by Super Lawyers.